We can all be in agreement here: These babies are must-have! 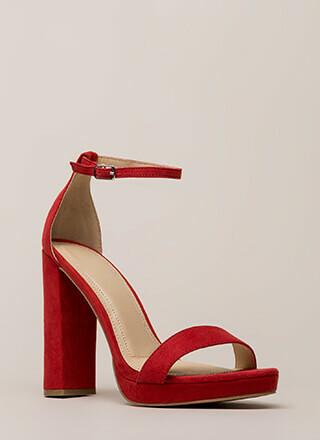 Open-toe vegan suede heels feature a cut-out caged upper with looped and knotted cord straps, as well as a chunky heel with a stacked surface. Shoes are finished with a ridged sole and a rear zipper for easy on and off.